The Sword and the Dagger by Robert Cochran has a tantalizing premise and a beautiful cover, but the story is just okay. Though I wouldn’t call this a bad book, it just didn’t grab my attention the way I was expecting it to. As I said, The Sword and the Dagger sounds like it has a lot going for it. First of all, that title! That right there lets you know that this is going to be a book full of adventure. Second, look at that cover! Isn’t that a great cover? I’m very intrigued by a book with that cover. Third, the story features a Christian princess, a Christian knight, and a Muslim assassin banding together on a quest during the Crusades. There is some excellent potential in a story like that. Unfortunately, I don’t believe this lived up to its potential. For starters, considering it was published by Tor Teen – an imprint known for its science fiction and fantasy titles – it wasn’t at all what I was expecting. There aren’t any fantasy elements at all unless you include the various religions. This is just a straight up historical fiction adventure novel – which is fine, of course, just not was I was expecting. I kept waiting for someone to bust out some magic or something. As historical fiction, it’s excellent. Cochran does a very nice job with world-building and showcasing the various cultures of the time period. In fact, in some cases, this is done a little too well; what Elaine has to deal with is so frustrating, I had to keep reminding myself that sadly that’s what things were like back then. As an adventure, however, this is simply adequate. There’s no real sense of danger or tension, even in moments where there should be. I never once feared for any of the main trio’s lives, the fast pace of the narrative often works against it, and everything wraps up just a little too neatly in the end. Some of the things that bothered me about The Sword and the Dagger are personal hangups of mine. They might not necessarily be dealbreakers for anyone else, but when I discover these in books they tend to really annoy me. One of these is constant POV shifts; this book is told in third-person omniscient, which isn’t necessarily a bad thing but isn’t always done well. In this case, the POV shifts randomly throughout the book with no real sense behind it, even to secondary characters. With these POV shifts, I didn’t get a very good sense of the characters, which is a shame, because in theory they should be very compelling. Elaine, the princess of Tripoli, is rebelling against an arranged marriage and struggling to be her own person in a time when women are basically property; Conrad, prince and knight of Antioch, is dealing with his own hangups after the death of his older brother; and Rashid, a Muslim assassin sent to kill Elaine, battles with his own beliefs the more he gets to know his two companions. Sadly, there is very little sense of character. I didn’t find them well-developed at all, and though their changes in opinion, behavior, and belief by the end of the novel make sense given the context of the story, Cochran could have done a much better job explaining it on the page. On the plus side, there is no unnecessary love triangle. In short, The Sword and the Dagger is a perfectly acceptable adventure based on actual historical events and is a quick and fairly interesting (if you like history) read. It’s light on the romance, if that’s not your thing, and features a feisty female character in a time when women were to be seen and not heard. 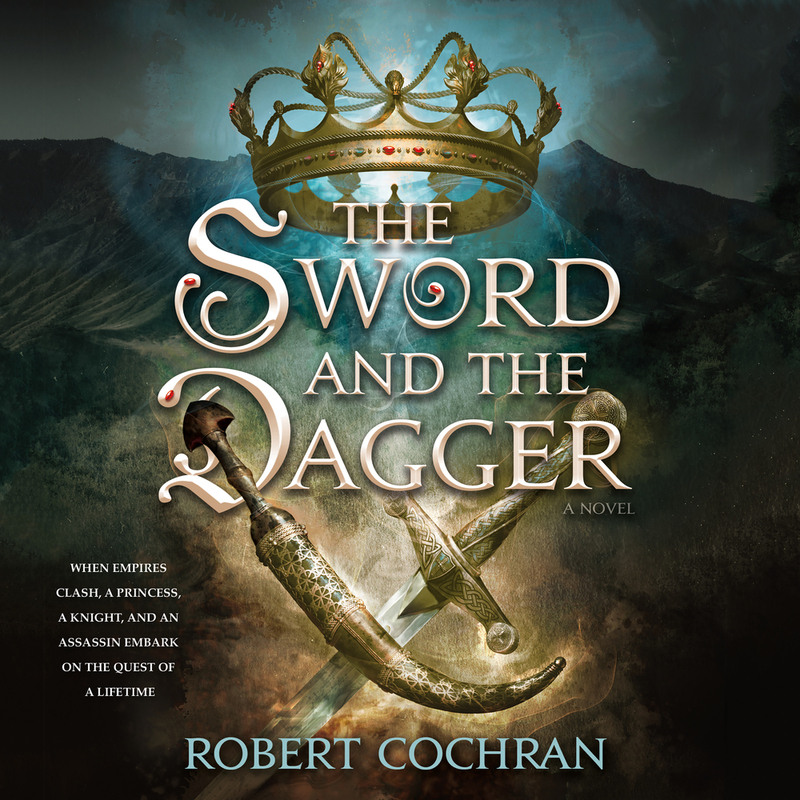 The Sword and the Dagger by Robert Cochran is published by Tor Teen and is currently available wherever books are sold. Previous:The First Teaser For New “The Addams Family” Animated Film Is Creepily Fun!